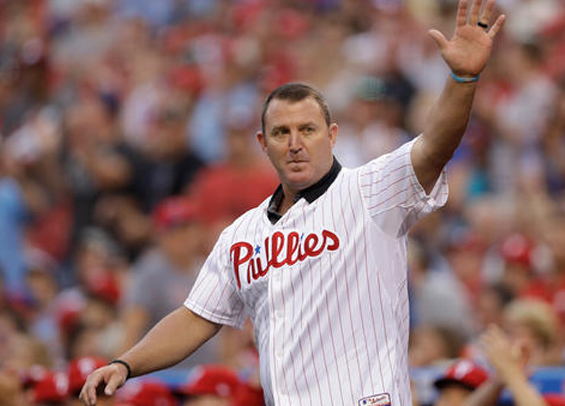 The Phillies will honor Jim Thome and celebrate his enshrinement in Cooperstown prior to today's series finale with the Rockies at Citizens Bank Park. Today marks the 14th anniversary of Thome's 400th career homer, which came at Citizens Bank Park against the Cincinnati Reds' starter Jose Acevedo. Thome's daughter, Lila, will perform the National Anthem before today's contest. Thome spent 22 seasons in the majors, finishing with a career batting average of .276 to go along with 612 home runs, 1,699 RBI, and 1,747 walks. He spent parts of four seasons in Philadelphia, hitting .260 with 101 home runs.